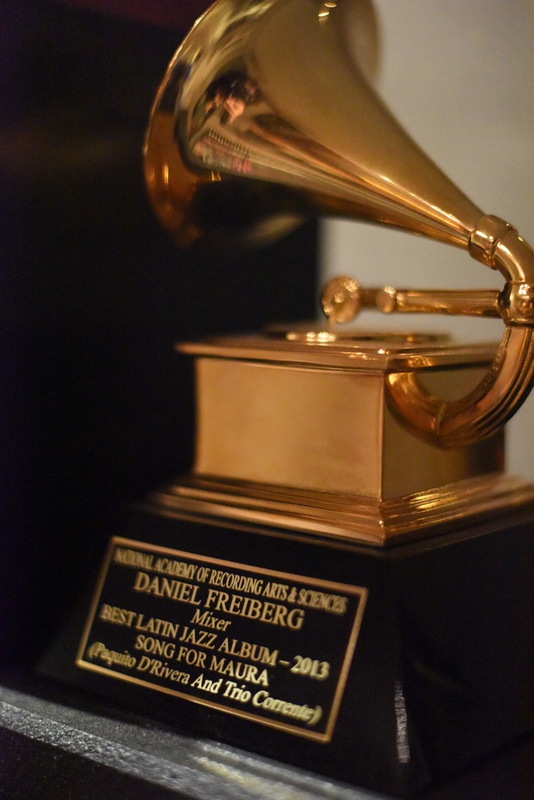 • 2015 – Latin Grammy as Mixing Engineer for “Jazz Meets the Classics” Best Latin Jazz Album, 16th Annual Latin GRAMMY Awards. • 2014 – Composer of “For Leny” from Song for Maura, Winner of Latin Grammy for Best Latin Jazz Album. • 2012 Soundtrack Composer for Emmy nominated HBO Series "The Weight Of The Nation"
• Gold and Platinum Record Awards with the following artists: Marc Anthony, Chayanne, Alejandro Lerner, Cristian Castro, Olga Tañón, Ednita Nazario, Mijares, José José, Dulce, Valeria Lynch and JAF. • Composer and producer of #1 hit on 1996 Billboard Hot Latin Tracks: “Amarte A Ti” performed by Christian Castro.